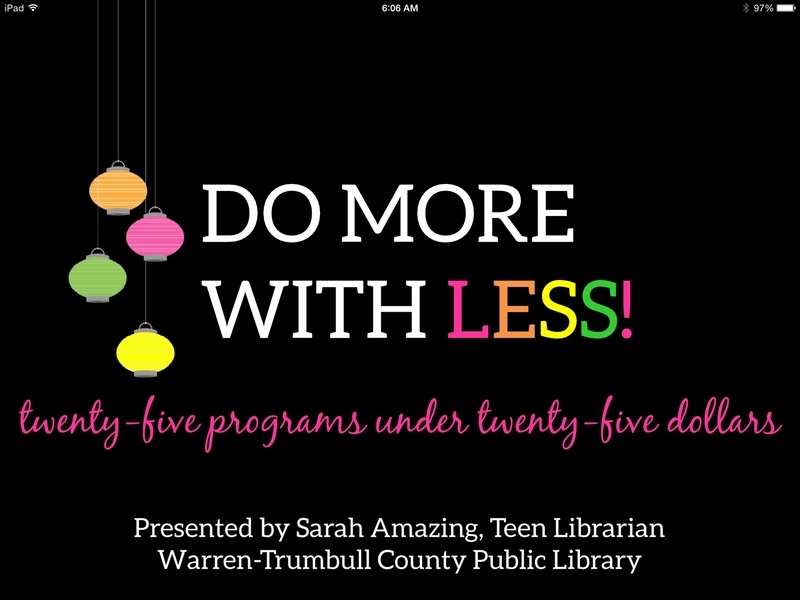 This was a presentation offered at the Ohio Library Council’s 2015 Children’s & Teen Conference. I co-presented with my good friend & awesome teen librarian, Christina Getrost, from the Stow-Munroe Falls Public Library in Stow, Ohio. Ahoy there, Teen Think Tankers! 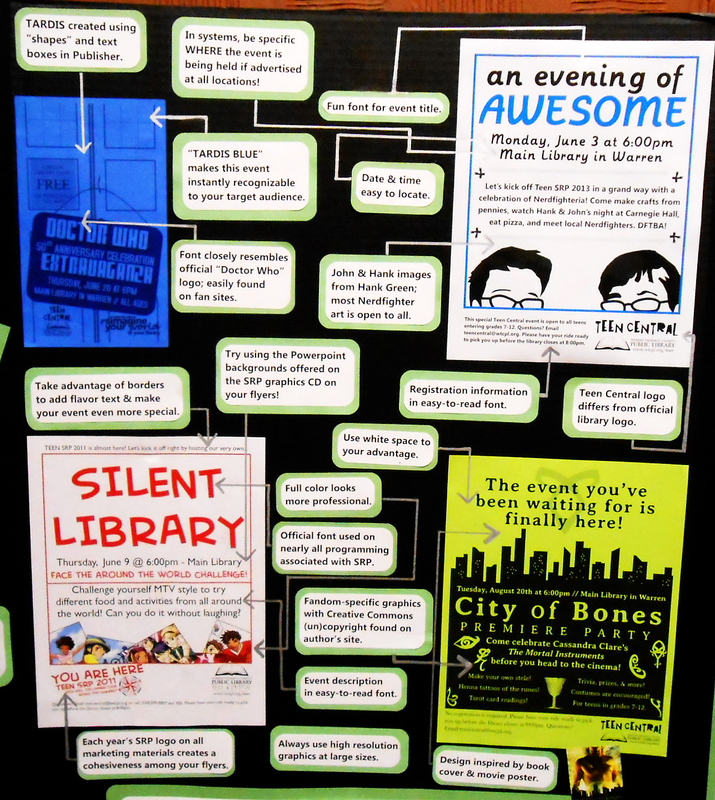 These presentations were a part of the Teen Think Tank Event on September 19 at the Lima Public Library. In the interest of wanting to share with my fellow teen librarians, and to save some trees, I’ve made the resources available here. Avast! The All-Important Hand Out! Note: I don't have the answers for most trivia (sorry! ), but all answers can be found online. Also, all Powerpoints include fancy, aptly-themed fonts, but if you search online for the font, you can easily install it. While playing the game, to return to the question grid, click the shape in the corner. Hello librarians across Ohio! And anyone else who might be stopping by, of course. Do More with Less! 25 Programs Under $25 Dollars is a presentation at several Ohio Library Council chapter conferences I'll be doing throughout the spring. In the interest of wanting to share with the teen librarian population at large (and in the interest of saving paper), I've made the resources available here. Please note: Previous programs are not, as presented here at the blog, under $25.